The Press Pot Coffee we are brewing and roasting now is Costa Rica La Minita Tarrazu. This is the perfect Costa Rican coffee. It’s clean and sweet aromatics with apple, spice, and vanilla entwined with subtle chocolate notes. Milled and prepared entirely by Hacienda La Manita. Yummy! 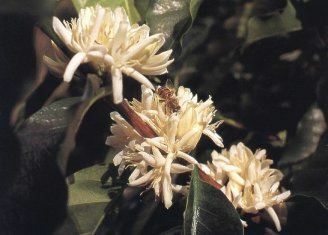 coffee trees flowering at Hacienda La Manita.